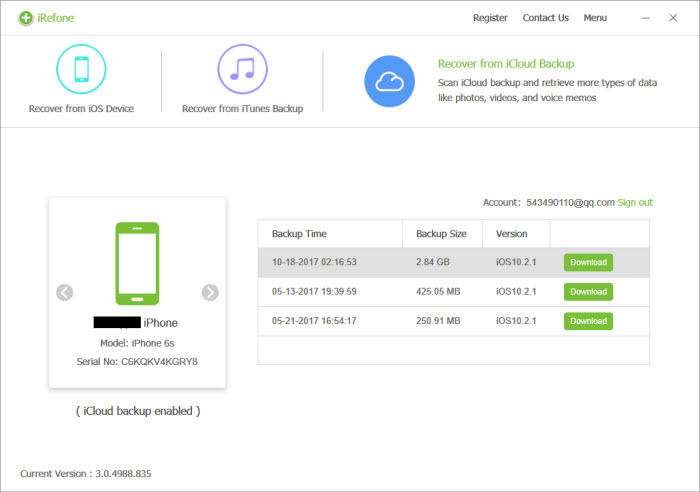 Now 2018 has been passed for half a year, some iOS data recovery software have been died, while some new iOS data recovery software are emerging, but iRefone still exists to be the best iPhone data recovery software in 2018. Now from article, we’ll show you its feature and the methods about how to use it. Supports data like contacts, notes, messages, photos, reminders, call history, WeChat messages ect. Extract data from iTunes and iCloud selectively without erasing all content and settings. Supports three recovery mode to get back lost data. Allows us to preview data before backup and recovery. Clear interface and easy to use. 100% safe and with fast speed. 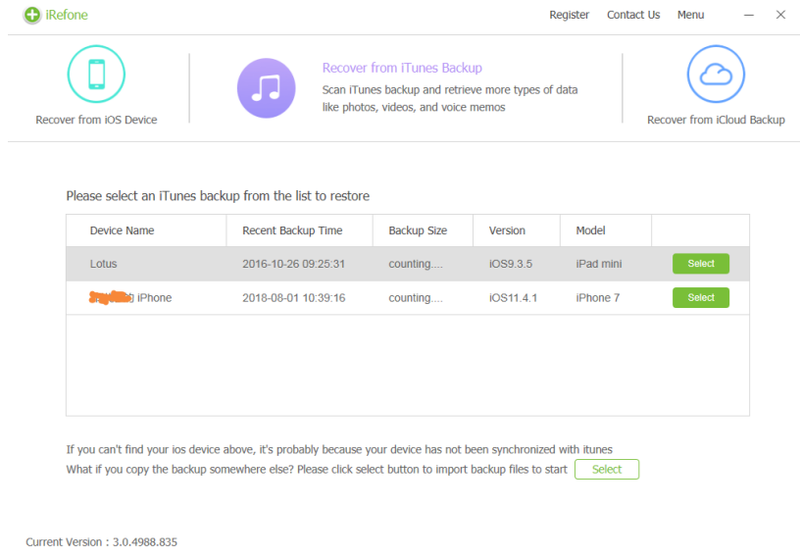 First of all, we’ll see how to backup or recover our lost data from iPhone iPad directly from our iDevice. And it’s suitable for the situation that we have no backup, or we need to backup our data selectively. Step 1. Run iRefone, connect your iPhone iPad with PC. Choose “Recover from iOS Device”, then tap on “Next”. Step 2. 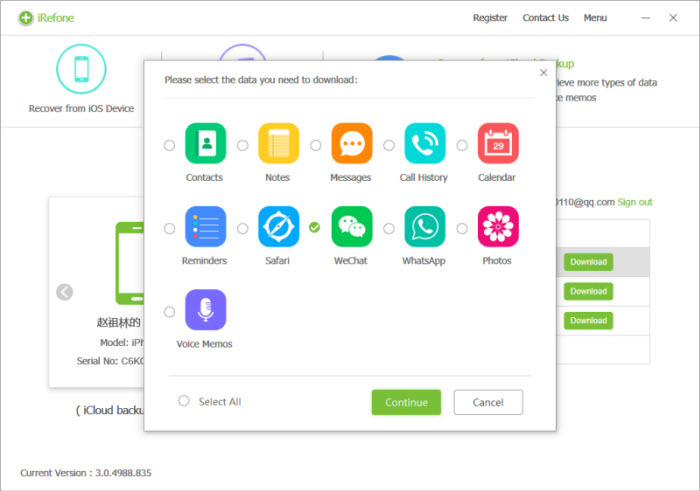 Now we’ll enter the new interface with many data icon and media icon that iRefone can recover, then find and click related app data, here we’ll take contacts for example. 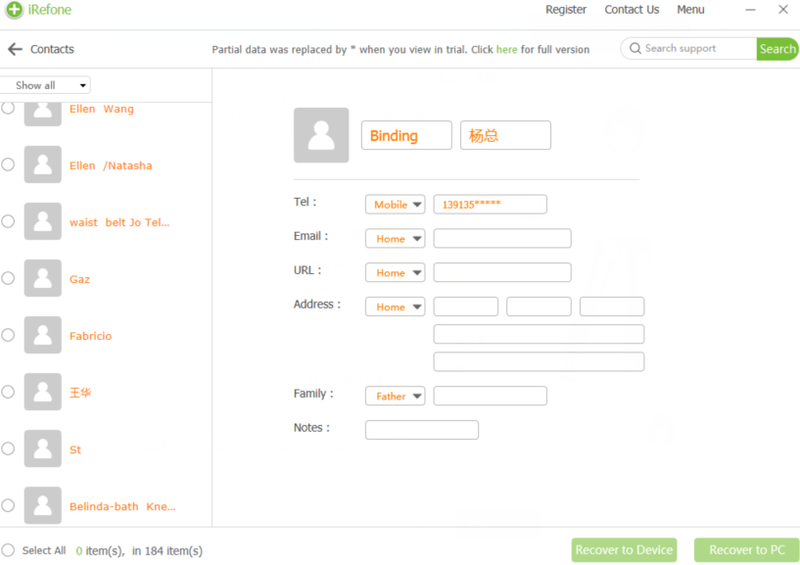 Now click “Contact” icon, and it will be scanned by iRefone. Step 3. After scanning, you can preview and choose contacts you need to backup or recover, tap on “Recover to PC” to recover or backup them. Next, we’ll see how to extract data from iTunes backup selectively. 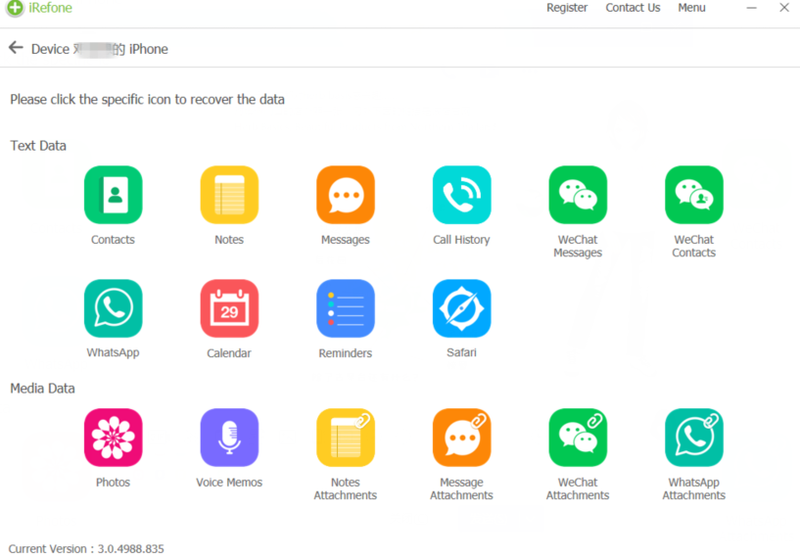 It’s suitable for the situation we need to extract certain app data, or we want to get back iPhone data selectively. Step 1. Run iRefone, choose “Recover from iTunes Backup”, and all your backup files on iTunes will show up. Step 2. Then find the backup files you need, click “Select” at the end of the files you need. And we’ll enter the new page, which is with many data icon and media icon. Find and click “Contact” icon for example, then iRefone will scan it. Step 3. When finish scanning, you can preview and choose contacts you need, tap on “Recover to PC”. Last, we’ll see how to extract data from iCloud backup selectively, and we don’t need to erase all content and settings. Step 2. 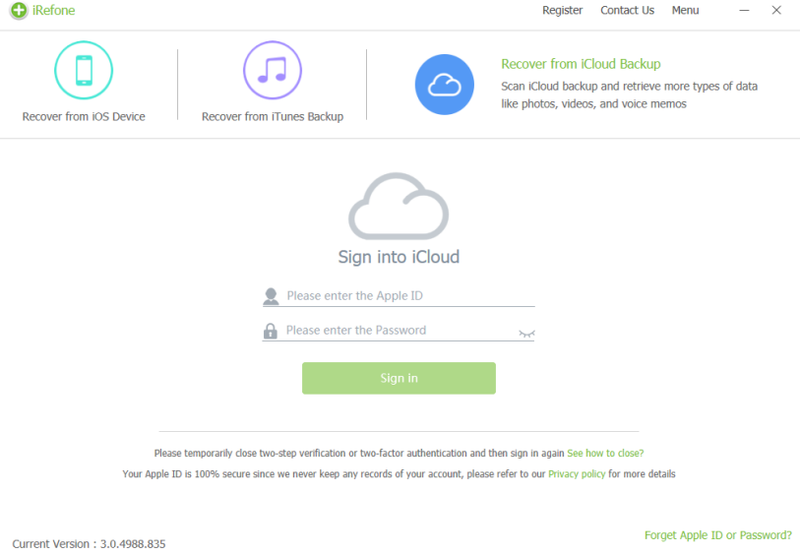 When log in, all your backup files on iCloud will show up. Find and click “Download” at the end of the files you need. Step 3. 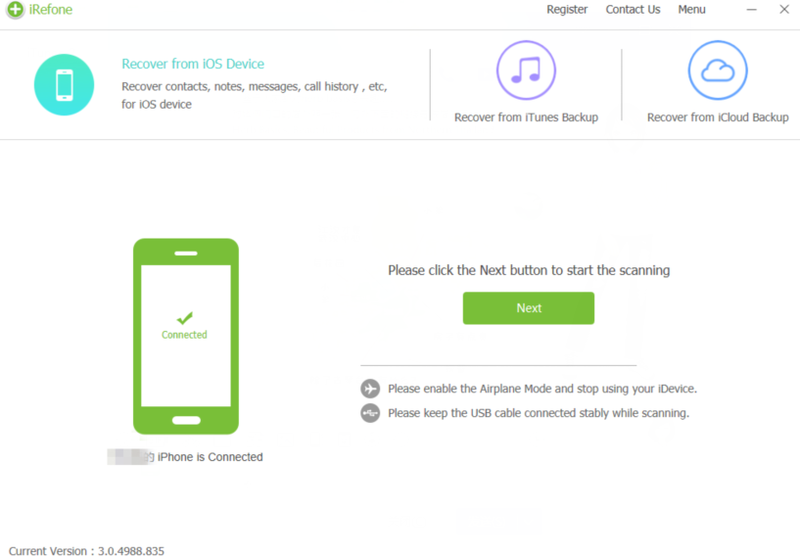 After downloading, we’ll enter the new interface with many data icon and media icon that iRefone can recover, find and click “Contact” icon for example, and it will be scanned by the software. Step 4. When finish scanning, you can preview and choose contacts you need, tap on “Recover to PC”.